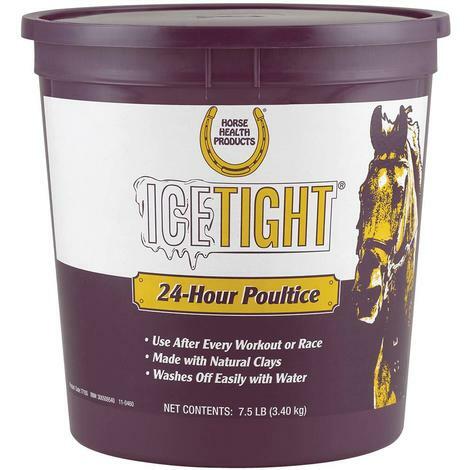 IceTight 24-hour poultice from Horse Health Products is a topical poultice for use on horse's knees, tendons, and ankles. Simply apply a layer up to 1/4 inch thick over the area to treat and then wrap and cover with bandage. Easily removes with water. 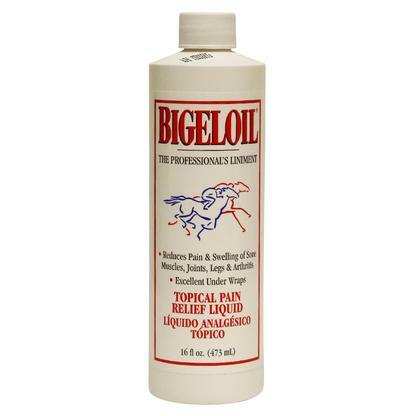 A counter irritant for use as an aid in the temporary relief of minor stiffness or soreness..16oz. can. Stimulate circulation and reduce pain with an invigorating liniment that offers a moderate sensation. This product offers relief for sore over worked muscles, arthritic joints, and strains. Has antiseptic properties and works as a refreshing brace. 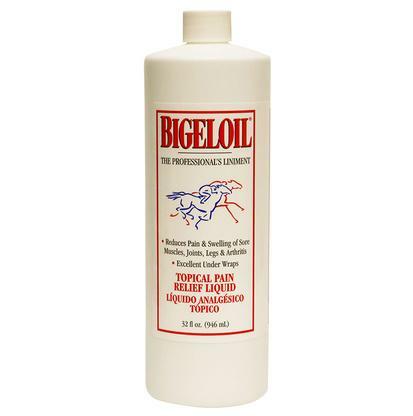 Bigeloil liniment has a pleasant scent and is an economical external analgesic. 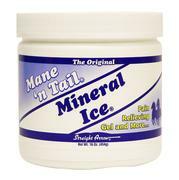 Mineral Ice is water based and contains menthol. It is cooling and reduces muscle and joint pain. Great for soreness and stiffness associated with arthritis, injuries, sprains, strains and bruises. Also can be used as a body wash or brace, and provides a therapeutic cooling. Mineral ice contains no steroids or benzocaine. This poultice is great for treating abscesses, sprains, strains, swelling, insect bites, and bruising. It can be covered with cotton or wrapped and will not cause burning or blisters. This drawing agent can be left on your horse for 36 to 48 hours. 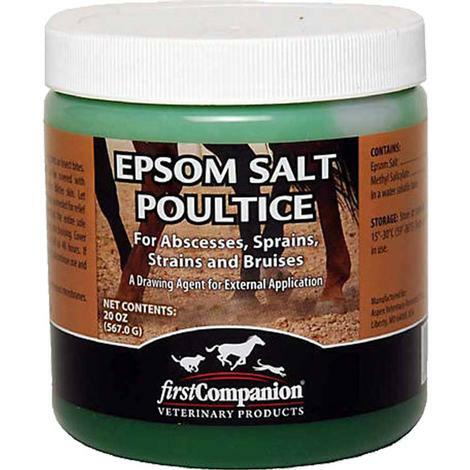 Epsom salt poultice has a water soluble base and contains methyl salicylate. 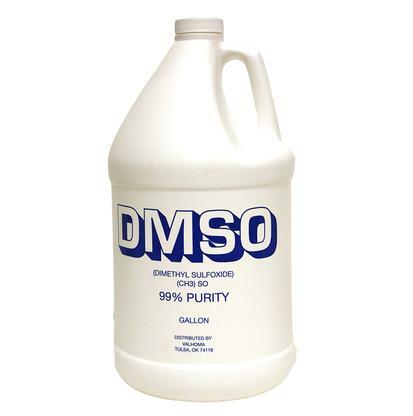 This is the convinient 16 fluid ounce bottle of 99% pure DMSO. DMSO is the abreviation for Dimethly Sulfoxide. This produst is a solvent that will penetrate through the skin and enters the celular membrains. It will carry almost any substance with it into the cellular membrane. This gel is 4 ounces by volume. 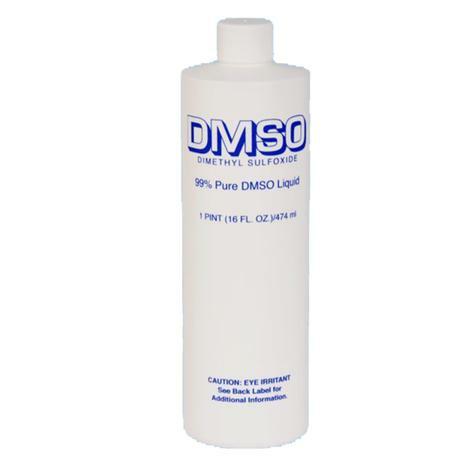 It is a 90% concentration of 99.9% pure DMSO. 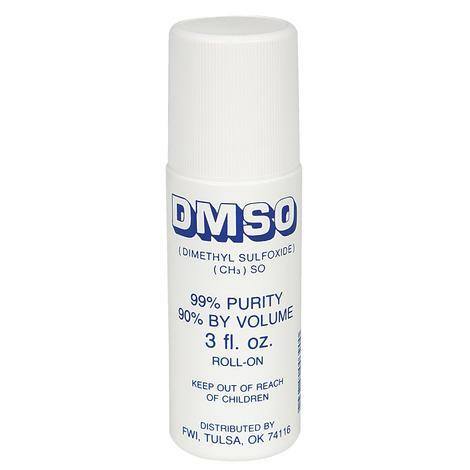 Dimethly Sulfoxide (DMSO) penetrates cellular membranes and acts as a carrier for almost anything it comes into contact with. The gel is easy to apply and is less likely to spill than the liquid formulation. This gel is a 90% concentration of 99.9% pure Dimethly Sulfoxide. 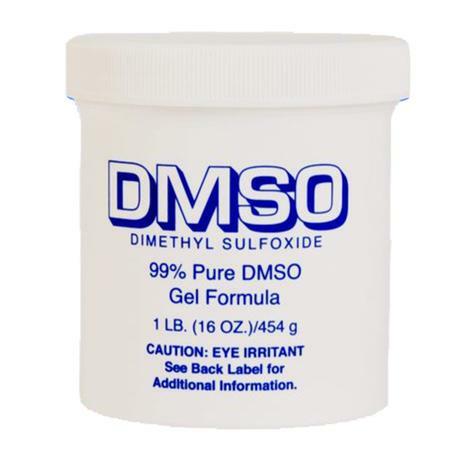 This gel formula of DMSO is easy to use and less mess when applied. This jar is 1 pound by weight and 16 ounces by volume. The same time tested liniment Absorbine has been making since 1892, in a modern gel formula. 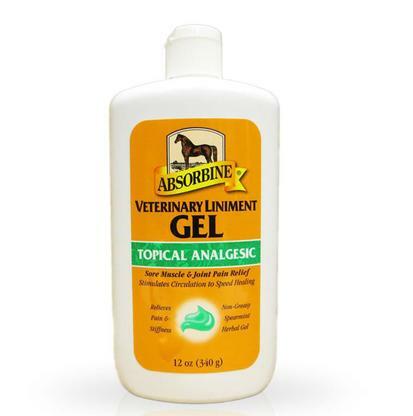 This liniment gel targets stiff and sore muscles with instant soothing warmth. Using natural menthol and herbal extracts, this convenient gel provides powerful relief for muscle stiffness, soreness, stiff joints, arthritis pain, and minor injuries. 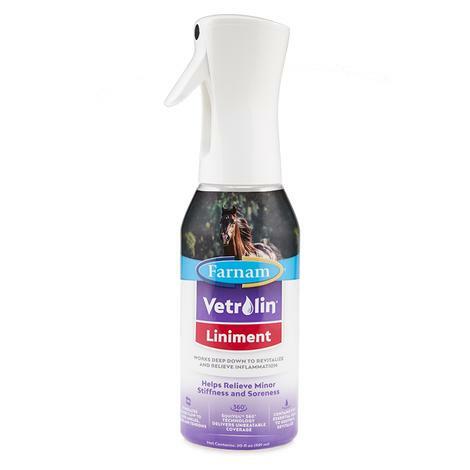 This is a 12 ounce bottle that is convenient for use while traveling or in the barn. 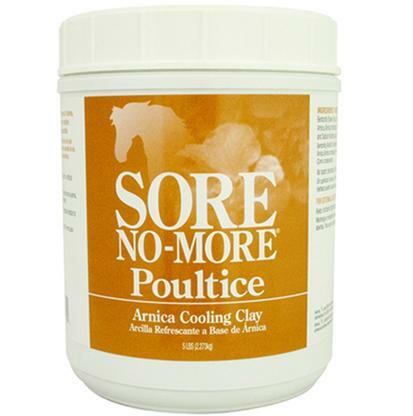 Get relief for your horse from muscular or joint stiffness, swelling, and soreness. This is a time tested formula designed to deeply penetrate. It’s also useful as an antiseptic. Treating minor cuts, preventing fungal and bacterial infections of the hoof and sole, treating rain rot, and summer itch. Absorbine liniment has been caring for the health of hard working horses since 1892. 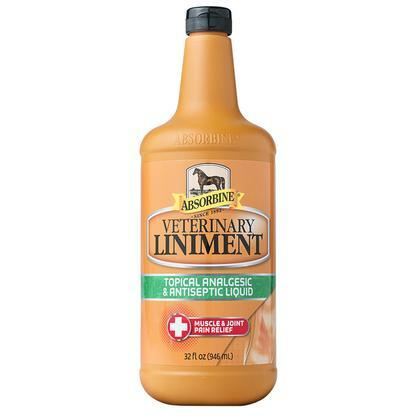 Put over a 100 years of experience to work for your horse with this convenient 32 ounce bottle of Absorbine Veterinary Liniment. 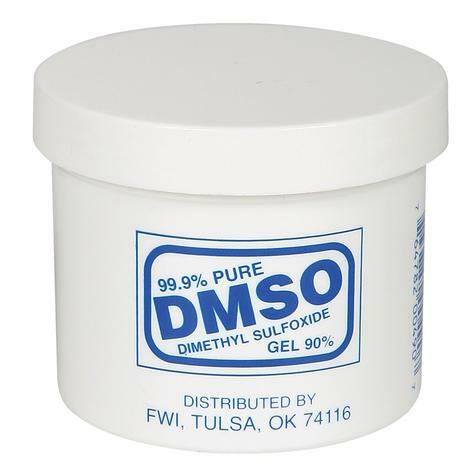 Dmso is a powerful tool that penetrates into the cells , passing through the cell membrain and can carry almost any substance with it. 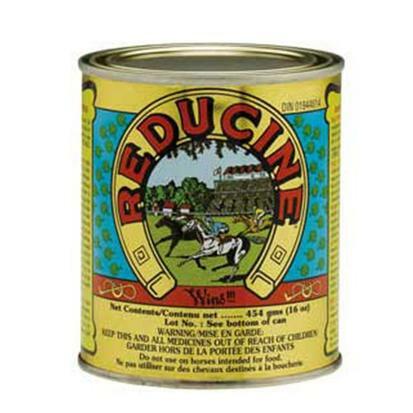 This economical gallon size lets you treat multiple horses. This is 99% purity. This is a liniment based washing system that works with a water hose and delivers precise dilution ratio. This power wash cleans without buckets, sponges, and mess. It also delivers the oils of sassafras, wintergreen, cedar wood, rosemary, thyme, and juniper. Camphor and green soap work together with these oils to invigorate, clean, and deodorize. 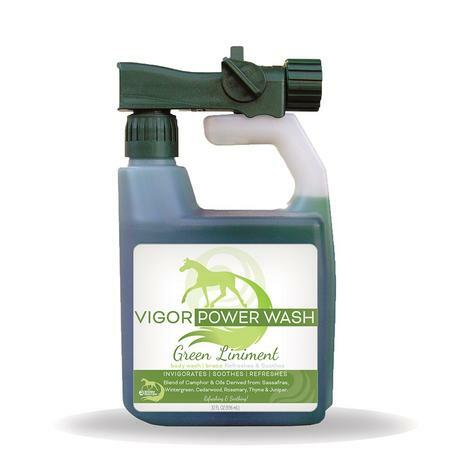 This power wash has a bracing effect, is a clean rinsing formula, and acts as an anti-inflammatory liniment. 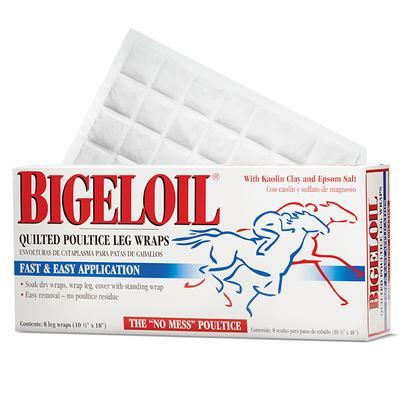 Soak Bigeloil Quilted Poultice Leg Wraps for 20 seconds in warm or cold water and apply. This no mess application saves time while providing your horse with traditional benefits. Treats stiffness, soreness, heat, filled legs, bruising, after heavy work, and after competition. Mess free poultice ideal for treating bruising, hoof heat, general soreness, and after competition or heavy work. Soak for 20 seconds, apply, and cover. Then just throw them away. No mess application and clean up. 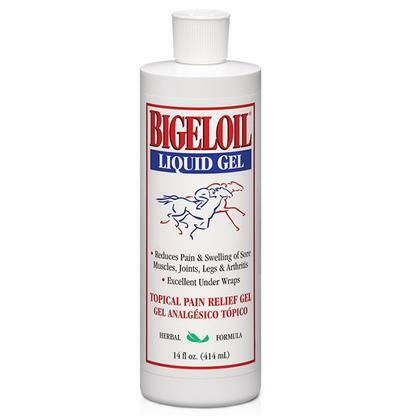 Bigeloil Liquid Gel Liniment is a fast acting liniment that invigorates, soothes, and refreshes stiff and sore areas. Get fast relief and soothing warmth for your horses from a time tested product that penetrates deeply. 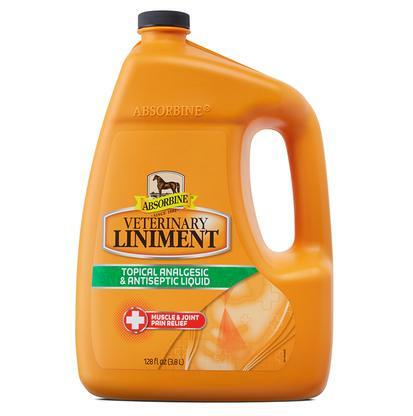 This gallon bottle of Absorbine veterinarian liniment delivers fast temporary pain and swelling relief to muscles and joints. This time tested formula relieves the symptoms of arthritis, overuse, and minor injuries. It’s also useful when treating skin conditions like rain rot, scratches, and summer itch. The antiseptic properties can help prevent bacterial and fungal infections of the hoof and sole. Topical analgesic useful for sore muscles, over exerted tendons, and arthritic joints. This liniment has a moderate sensation and is often used as an invigorating rub to stimulate circulation and speed recovery. 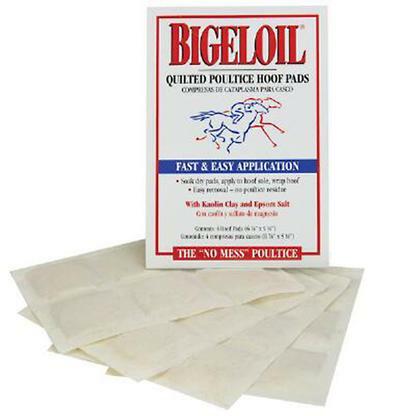 Bigeloil has a pleasant scent and antiseptic properties. Great as a body wash after strenuous activity and as a refreshing brace.